Sleigh Bells’s debut Treats introduced noise pop in a sugar-coated, cheerleader ready album. While providing a second chapter, Reign of Terror utilizes noise pop for a darker, more haunting sound. The beginning of the album follows in Treats’ path, though. The first song “True Shred Guitar” starts with audio from a live show in New Orleans. The song is amped up, ready to get the crowd riled. If the music itself cannot get someone ready to jump out of the stadium seat then the chorus does it – “Push it, push it, push it.” Not only does it have the effect on the audience, but it also gets the listener at home pumped up for the album. As their sophomore album, Reign of Terror continues to provide that pep-rally-on-crack feeling. At the same time, though, the lyrics are darker than those found on Treats. The second track “Born to Lose” opens with “head you say suicide in your sleep” then proceeds to tell this person he or she was born to lose. Lose at what? It is presumed Sleigh Bells means life. The song comes to a haunting end with a minute-long outro of a reverberating electric guitar. The rhythm slows down for “You Lost Me,” adding another layer to the terrifying album. Karuss’s voice whispers hauntingly, “I don’t want you to see me this way/What a way to die.” This song is the closest Sleigh Bells comes to having a ballad. With the lyrics and the slow-dance rhythm, the song brings to mind the first dance at Jack and Sally’s Halloween wedding. 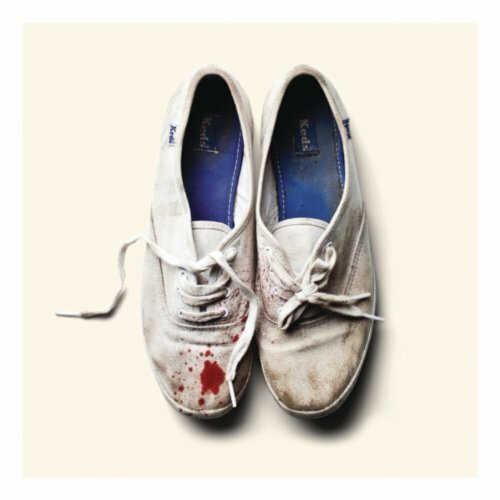 Looking at the album’s cover art, it could just as easily be blood on those Keds as spirit paint.